Last year I started playing with the Procreate app for iPad. 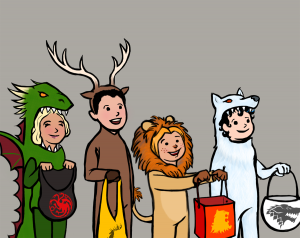 My first sketch was inspired by Game of Thrones, showing key characters dressed up for Halloween as their house sigils and trick-or-treating at the home of a very special man. 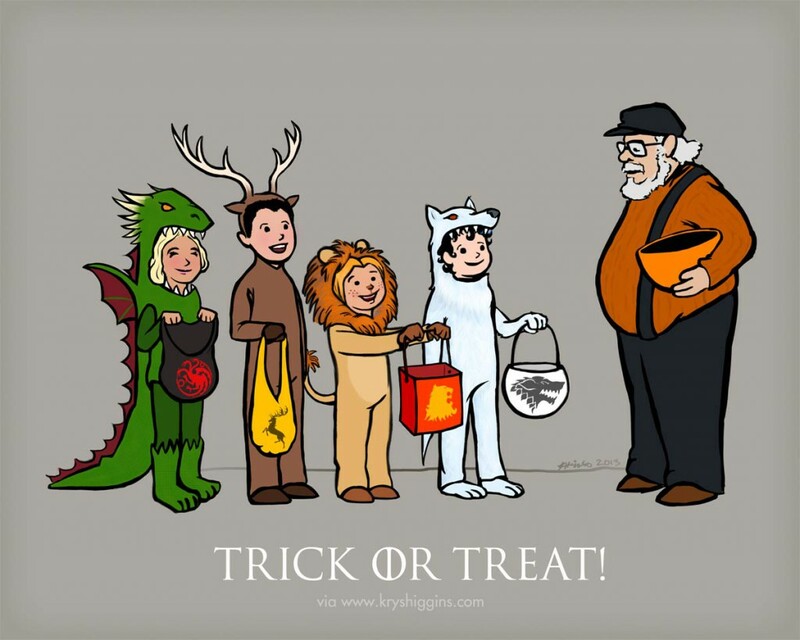 This year, I cleaned up the sketch and decided to share it as a free illustration for your Halloween enjoyment. Read on for a full-size version you can print or use as a wallpaper! Looking for other Halloween-themed crafts? Try my free Angry Birds jack-o-lantern stencils!